Using too high of a pH to clean your carpet that will remove your carpet’s stain resistant qualities. Leaving your carpet wet for too long causing mold and mildew. Leaving residue in your carpet that will attract more dirt later. Commercial carpet cleaning companies that use high pH alkaline products to clean can remove the Acid Dye Resistors in your carpet. Why are Acid Dye Resistors important? When the carpet is acidic it repels dirt, because dirt is also acidic. 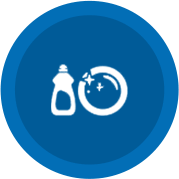 Alkaline cleaning products break down and remove Acid Dye Resistors in your carpet, and also the alkaline cleaning product remains in your carpet as residue. Alkaline cleaning products have the opposite effect of Acid Dye Resistors. 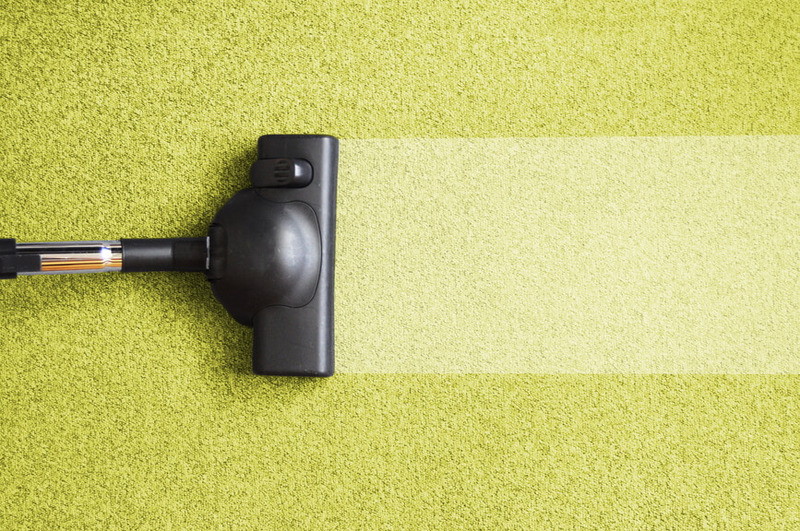 If alkaline is left in the carpet in the form of residue, the residue will attract and hold onto dirt. This causes the carpet to resoil (get dirty) at a much faster rate. Deep Cleaning. We clean all the way down to the bottom of the fiber. Low Moisture. We clean so that moisture does not penetrate to the subflooring/padding under your carpet. Thorough Rinse. We rinse your carpet fibers, top to bottom, to ensure all reside is removed. 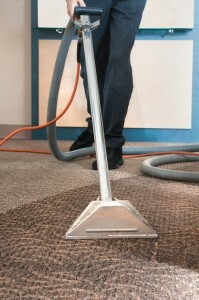 What is the science behind our commercial carpet cleaning method? We clean and rinse with a Green, environmentally safe, acidic product that reduces any alkalinity (residue) in your carpet and leaves your carpet at a slightly acidic level. This helps to maintain the Acid Dye Resistors in your carpet fiber so they can work and repel the dirt on your carpet. This also makes it easier to vacuum the dirt off your carpet and to keep your carpet clean longer. As Utah’s best green carpet cleaning company, BearCom invites you to give our office cleaning services a try. Request a free commercial carpet cleaning quote or call us at (801) 590-7392. A properly stripped and waxed floor can be maintained for many years when done correctly. When we customize commercial floor cleaning services for our clients, we identify the flooring type, condition, age, foot traffic and maintenance history. We will identify the perfect mix of floor cleaning services for your floors. Then we create a customized floor maintenance plan to provide our clients with beautiful floors for the lowest possible price. Prevents water and humidity from penetrating the floor. Protects the floor from scratches, abrasions and other damage. Extends the look and life of the flooring material. Provides an impressive shine and beauty to a facility. Extends the life of the floor, saving you money on your investment. A beautiful floor impresses clients and bosses. Employee productivity may increase when they take pride in where they work. As one of Utah’s best commercial floor cleaning companies, BearCom invites you to get a free quote and try our services today. ’Tis the season for clean windows in the office. The sun is shining, the days are finally warm, and you want to be able to see the budding greenery of spring. Your windows take a beating in the winter as your protector from the harsh weather — snow, sleet, hail, rain and the wind that drives it all forcefully against the glass. Office windows are not like your windows at home that you can just tilt in and clean whenever you feel like it. You need a professional. The first priority when cleaning windows is safety. Windows that are not on the ground floor frequently require special equipment to clean, including scaffolding. Workers should wear harnesses, and work should not be performed high up on windy days. Make sure the company you choose has good safety measures in place. Smaller office buildings of two or three stories can often be cleaned much more quickly and easily than larger ones. Less equipment is needed as well, so costs are usually lower. 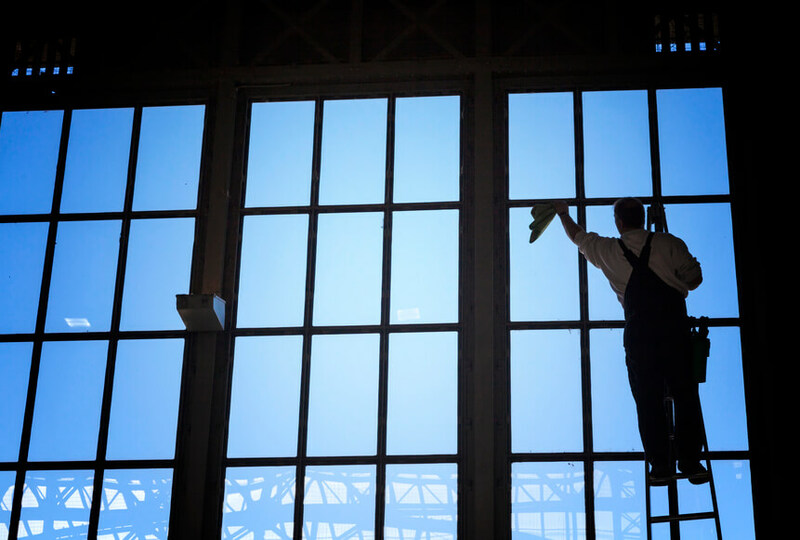 Some building facilities managers opt to hire a company to clean only the outsides of their windows, relying on their in-house janitorial company to do the insides. This is a good option for some, but others want the job done all at once so it’s easier to see the results of your investment. It’s important to use an experienced window-washing company that utilizes the best tools for the job. Someone’s unemployed relative with a long-handled squeegee and a bucket he just bought from Home Depot might give you a better price, but you’ll likely get what you pay for. Hard water stains can build up on windows’ exteriors, and if the right solvent is not used to dissolve these, your windows will still look dirty after the job is done. Likewise, many jobs require light scrubbing tools to remove bird droppings, tree sap and other tough-to-handle grime. Use a pad that’s too heavy duty, and your windows will be scratched forever. Use one that’s too light, and you’ll be left with gunk on your windows. This is also a good time to clean all the tracks, sills and frames, where dirt and grime can build up. You don’t want sparkling clean windows with a lot of dirt in the tracks, so get everything done at once. BearCom is the go-to commercial window cleaner in Northern and Central Utah. They specialize in window cleaning for manufacturing facilities and small and medium office buildings (up to three floors). If you want your office to have crystal-clear windows this spring, call in the professionals at BearCom. Offices aren’t exempt from spring cleaning — they accumulate just as much dirt and grime as your own home, and sometimes more. If you have decluttered your office, tossing out all the unwanted paper from desks, the unclaimed hats and gloves from closets and the piles of takeout containers workers swore they were going to reuse, it’s time to get serious. If your office uses a cleaning company, they likely come through every night or once a week, emptying trash, vacuuming, mopping, dusting and cleaning bathrooms. It’s what you do at your own house, and it keeps everything looking nice. But at least once a year (twice is better), you need to tackle the big jobs. Moving the desks and other furniture and ferreting out those dust bunnies is an integral part of spring cleaning. Getting into all the corners where dust and dirt can collect means extra effort, but it will be rewarded not only with a sense of accomplishment, but a clean, fresh scent in the air. Another job you’ll want to tackle is cleaning blinds and windows. Likely your blinds are frequently dusted by your cleaning crew, but a more thorough job involving soap and water should be done on a semi-annual basis. Even if your blinds usually cover a large part of your windows, you still need to pull them up every so often and clean the glass, even if you don’t look through them on a daily basis. Dust can pile up behind blinds and sit there, quietly waiting for the first sunny day of spring when someone decides to pull up the blinds, at which point the dust begins to permeate the room in a mushroom-cloud fashion, creating a breathing and sneezing hazard. Remember to clean out the refrigerator in the break room. Hopefully an employee has been designated to throw out uneaten food at the end of each week or month, but all the shelves and drawers still require a good scrubbing in hot, soapy water every so often. Do it now so you can have everything clean at once. Even though your computers aren’t stacked in corners gathering dust, they can still benefit from a good spring cleaning. Keeping the screen fingerprint-free and the keyboard wiped of stickiness and germs is part of regular maintenance, but spring cleaning involves wiping behind the monitor, the computer itself and under all the wires emanating from its front and back. Don’t forget the compressed air for all the nooks and crannies. Do yourself a favor and turn your keyboard over first and give it a shake or two. You likely will get enough crumbs to make another sandwich. What didn’t come out can now be blown out with the can of air. Lastly, go through filing cabinet and supply closets, ridding your space of unnecessary items that obscure the items you’re really looking for. Take an honest inventory of your supplies, and pledge to not order any more paperclips if you already have a few dozen boxes. It’s good to be prepared, but there’s no need to have a gross of anything. Spring cleaning is a big job, there’s no getting around that fact. BearCom Building Services provides superior commercial cleaning for office buildings and facilities all over Northern and Central Utah. If you need a hand with your office spring cleaning, call them today. You’ve hired a commercial cleaning firm to help you keep your facility in top shape. Yet, for a variety of reasons, you’re unhappy with the results. Whether the company is underperforming or you simply need to work on more clearly communicating your expectations, it’s important that you feel you’re getting a good return on investment for professional cleaning services. Having the right communications strategy to express your concerns is important. 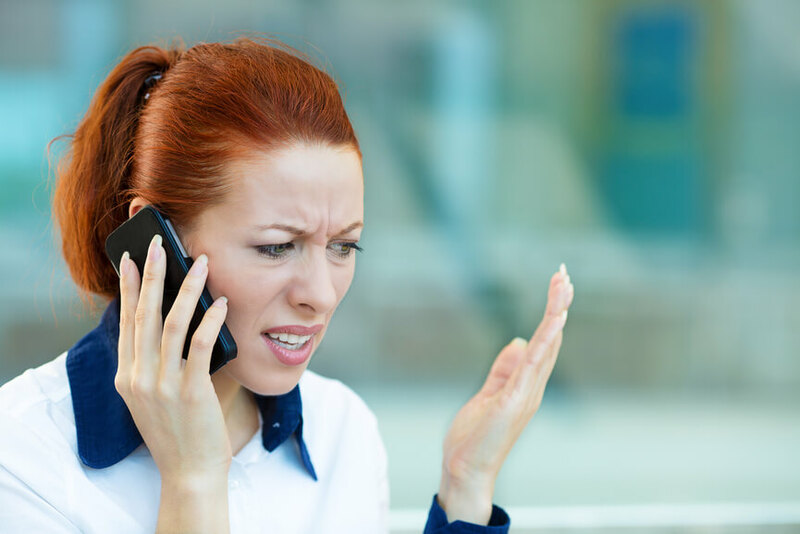 Here’s a closer look at three tips for communicating with your janitorial provider when you need better results. Review the company’s cleaning plan to make sure that your priorities and individual needs are reflected in the cleaning approach that’s being taken. If the cleaning company you’re working with didn’t develop a customized plan when they took you on as a client, that’s a red flag. Each facility and business has unique needs based on their type of business, traffic patterns, and the preferences on the owners or managers. The cleaning company is also better able to forecast supplies purchases, train their staff and perform quality assurance checks if they’re working from a pre-determined plan. When there is a plan in place, review it in detail and look for areas that you want taken care of that aren’t reflected or certain tasks that you want to have priority. The clearer your cleaning requirements are, the more successful a company can be in meeting your needs. When you notice something that’s not getting done as part of your commercial cleaning contract or there’s a gap between performance and expectations, mention it to your onsite cleaners. It could be as simple as pointing out that something is being overlooked or giving more detailed instructions about what you’re hoping for. By communicating with your onsite staff, you’ll have the opportunity to show them the problem and have it corrected immediately. However, in certain cases this won’t solve the issue or isn’t possible because your janitors work an overnight shift. If a problem occurs with cleaning your facility, a quick word to the janitor on site can often quickly get it addressed. But it’s also helpful from an oversight perspective to take a moment and let the company management know. For example, if something is overlooked it may not be on your client checklist which should be addressed and improve the chances that it won’t represent an ongoing problem. 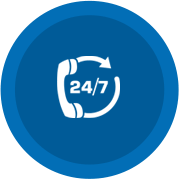 Consider sending a quick email to your account rep, or in the case of a more serious problem, getting on the phone. A conversation with management should always address the issue. If it doesn’t, it’s time to look for another commercial cleaning company. Are you a business owner or manager in Salt Lake City who is ready to explore whether commercial cleaning is right for your business? Contact BearCom Services today to arrange for a personalized consultation. Your commercial cleaning company is your best ally for spring cleaning. It may be hard to believe with most of the country under a blanket of snow, but spring is just a few weeks away. Soon, the snow will be melting, the temperatures will be rising, and it’ll be time to be thinking of a seasonal purge. This month, we’ll be focusing on different aspects of the seasonal cleaning process that your janitorial company can help with. But before diving into a deep cleaning to peel off a layer of germs from the winter or thinking about bigger maintenance projects, let’s address a tough one: clutter. Even if your store, office, or facility is regularly cleaned and beautifully designed, it’s easy for clutter to accumulate. When staff becomes busy, it’s easy for papers, presentations, books, and other work related items to build up. At the same time, materials from trade shows, product samples, reference guides, and other company related items can take up valuable storage space. The first step in addressing clutter is admitting it’s a problem. Then it’s time to follow a three-pronged approach to solve the issue. Each employee that has his or her own space – from a cubicle or office to a lab or work station within a store – should be included in the decluttering process. If possible, designate a set time where employees will be asked to go through their spaces and systematically declutter. Are there files that can be digitized? Outdated reference materials, binders, or other things that can be thrown away? Could a better storage systems for files and personal items be arranged? If it’s not possible to designate a specific day, then set a deadline by which everything must be completed. Your commercial cleaning company can support this process by being on hand to help with clutter removal, cleaning up afterwards, and arranging for larger recycling capacity if needed. 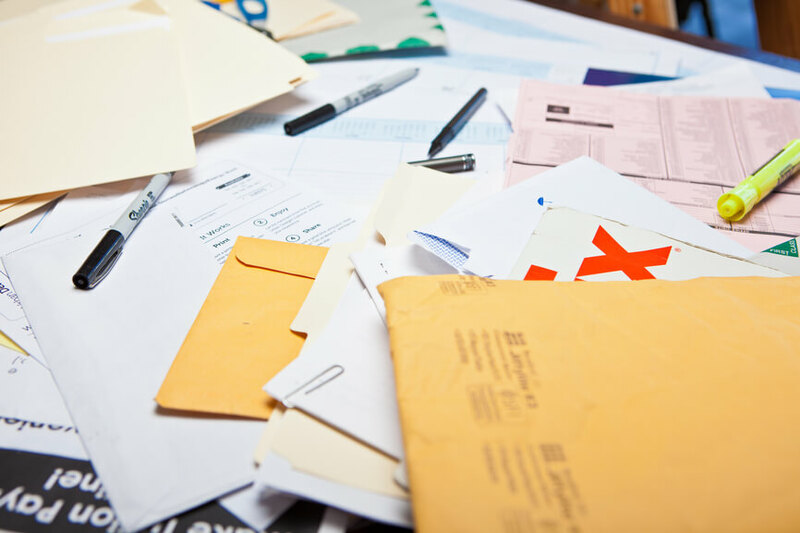 There are likely many common areas that need to be evaluated for clutter. Have products accumulated in the bathroom, kitchen, break area or other common spaces that need to be eliminated? If so, arrange for a time for your managers and administrative team to decide how to proceed. Your commercial cleaning firm can then help execute the plan, from recycling certain items that are no longer needed to reconfiguring your space for better storage and ease. Once you’ve decluttered, it’s helpful to have a system in place to prevent the problems from occurring again. Talk with your janitor about establishing a regular trash and recycling schedule; implementing monthly decluttering days; determining how your daily cleaning schedule can help keep the tide of unwanted paper and tchotchkes at bay. An experienced commercial cleaning firm will have specific recommendations for you based on your space, your budget, and the extent of your clutter problem. Do you need a partner to help with your seasonal cleaning and then handle your janitorial needs beyond? Contact BearCom Services today to arrange for a personalized consultation and to discuss how a commercial cleaning company can meet your needs.